Apparently the shipping won't take place yet on May, not likely on June either, and I'm strongly starting to feel we are looking at a vaporware here. I hope someone proves it's not. Phones may not be shipped without FCC approval. Getting one requires that the phone, in its final hardware, is shipped to a certificated laboratory where for example its antennas are tested for radiation. The procedure typically takes more than a month, and the outcome is not an automatic approval, it depends on the results. The company should have had an answer ready for a question like this a long time ago, already before the first promise of shipping. So why such reply instead of simple yes? Promise on shipping of Turing Phone was today moved to late May or June, this was the 8th shared postpone to the delivery of the first product counting the current (TRI) and earlier (QuasarAlpha) companies founded by Mr. Steve Chao. On the positive news, the company has now registered like a Finnish company should, being able to pay salaries and having a physical address in the factory site they've leased from Microsoft in the beginning of April. Additionally, Jolla officially announced the licensing of their operating system to TRI today, sharing that Sailfish OS already runs fast on Turing Phone. On the negative side, no-one has yet published an independent review of Sailfish OS actually running on the phone. TRI also used an older image of their phone running on Android in their latest newsletter - odd decision after a switch of OS, unless they are lacking new photos. Which would be odd as well. Also the trademark issues remains, Turing Phone website is currently showing "tm" on several products without a trademark. While having both positive and negative news around I still remain skeptic, but I sure hope them to succeed on one sunny day. Unfortunately even the 8th postpone shared today will not be the last, but maybe one day we will see a phone with some updated specs. I'd really love to see that. APPLICANT: Turing Robotic Industries, Corp.
See also this video interview of TRI's CEO Mr. Chao, but maybe listen to it with some grain and salt. However, the video shows Sailfish OS running on the promised Turing Phone, mentioning that the production is due to start in the mid of May and that there will be other products during this year too. I remain skeptic on this. TRI has founded a new office, currently located in a desktop drawer of a lawyer in Finland. These cubic centimeters are a welcome add to TRI's actual space, as their earlier HQ is a virtual one in San Francisco, U.S.
Well, virtual employees fits anywhere. Or does TRI really have 51-200, as they claim on LinkedIn? While TRI figures out how their real employees might fit into the new HQ drawer in Helsinki, or into "Salocon Valley" (Salo, Finland), let's put the jokes aside and get real. Juha Sipilä, The Prime Minister of Finland. "- - but it wouldn't surprise me at all if a new mobile manufacturer would build up a company around this knowledge," Sipilä shared. "Kind of special phones which yet doesn't have a large supply, like specially encrypted and sheltered phones, for which there's expertise in Finland," Sipilä continued. So, why not Finland... I don't find it surprising that TRI founded a company to Salo, Finland just one month later on December 22, 2015. And I do believe that there will be production in Salocon Valley by them, at least as long as the paycheck of employees comes via support from The Government of Finland. Operating system switch from Android to Sailfish OS for the promised Turing Phone, announced on February 5, 2016 by TRI, seemingly came out of the bushes. Surprisingly it left even customers who had paid for this phone already back in 2013 wondering what they actually paid for. The current CEO of TRI is also the founder of both TRI and QSAlpha. The switch of OS happened after his visit to Google's headquarters, in a situation where Jolla was desperately looking for new partners, six weeks after the TRI office in Finland was founded. Jolla has knowledge on getting financing via TEKES, and also on getting financing via crowdfunding, 25 times more than what QSAlpha ever did. Maybe this switch is related to financing plans via TEKES, making a possible application look better with a Finnish operating system deal in the papers. Liquidmetal is exclusively licensed by Apple for all commercial products. Apple renewed their licence for 2016 on last summer. TRI has not solved the issue with the Trademarks Office since September 2015, and the trademark is due to be rejected. TRI might need to update the Turing Phone specs and use some time testing with possible other materials. That will take much more than two months. UPDATE, February 28, 2016: See the comments sections for clarification on how I ended up with my conclusions above. Thanks to anonymous for all his/her related comments. Shot down by Apple... Any hope for TRI then? Hopes for a new phone might survive, but not with the current specs, and not with the current release schedule for April 2016. Just forget that, it'll be neverdonedinium! If the company comes out with another material and solves a bunch of other issues, and if they have financing for a new product, no problem. Salo in Finland is an excellent place to manufacture new devices. So let's give them a fair try, but let's also be cautious on participating in any possible pre-order campaigns. "We are not aware of this", replied Jani Jääskeläinen, Head of Business development at Jolla. The campaign in question is Milk Nanny by Wicoz Inc., the co-founder currently working as the Chief Business Development Officer at TRI. "Via our own background we understand the risks related to mobile phone device business very well, and due to that we always advance step by step with our [business] customers", Mr. Jääskeläinen shared to us. 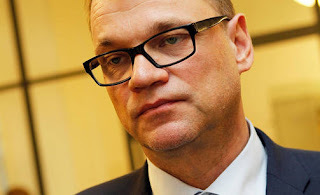 Note on translated quotes: Juha Sipilä's comments are translated from Finnish by me, these translations are not checked with the author. Jani Jääskeläinen's comments are also translated by me, these translations are currently being checked by Jolla. This might well be the best article ever written on the Turing Phone - and I've read a few. 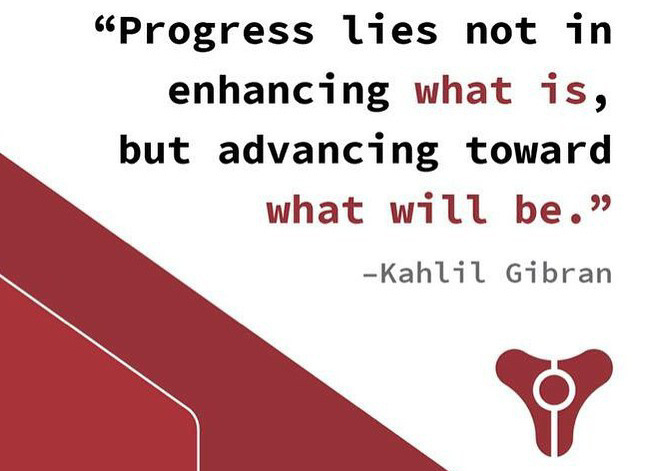 You only have to look at the project's website to see there's something fishy... That's why I was interested and kept looking and searching for information. Nothing as good as your article so far. Thx. About project itself: Given how Jolla had to change their hardware plans in 2013 (ST Ericsson...) and actually succeeded in doing so, it's not unlikely TRI produces just a standard middle class phone from reference designs for Android. Unlikely in this case (they'd have to explain a lot to their supporters), but possible. From my point of view, that'd be quite OK: More up to date hardware that sailfish runs on... and that's actually available in Europe. TRI pre-order-customers will have different feelings about it. Thank you! Well, let's have them try. Jolla has NOT got or asked any Tekes money related to this project. I'm not saying they did, I'm saying they have experience on that. For clearance: Jolla has received 770k€ (2012), 5.8M€ (2013) and 1.7M€ (2014) for their own projects via TEKES. If the post is unclear on this, please quote the part in question. I'll edit if needed. One can note that the Blackberry priv is not in a dedicated material. Thus, even with a simple steel case, the Turing phone remain an interessant proprosal. Amongst the three future contenders (Intex Aqua Fish, Fairphone 2, Turingphone)it would be the most european as done in Finland. With the lack of SDcard, the Turing phone should begin with a 32Gb version. 2°)For the strange color...excepted for the Black Wyvern, clearly fascinating but too much expensive. and second, for a beautiful design (and the Fairphone design...hum...). I think this post is a bit misleading. Liquidmetal Technologies is a corporation developing liquidmetal tech off of what I presume are CalTech patents to the liquidmetal tech. It would not be unreasonable to think that, while Liquidmetal Tech (the company founded by Atakan Peker, one of the inventors at CalTech) has exclusively licensed its patents to Apple, there are other forks off of the CalTech patents to which Apple does not have a license--and it seems that "liquidmorpium" (founded by Lugee Li, another of the inventors at CalTech) is one of them (http://irrelevanthacks.com/2015/07/13/liquidmetal-or-liquidmorphium-thoughts-on-the-turing-phone/). Moreover, TMs and patents are completely different, and this post conflates the two--whether or not "liquidmorphium" is granted as a TM has nothing to do with whether TRI has the right to use the IP they are trying to TM as "liquidmorphium." 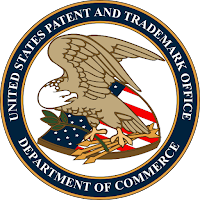 Maybe there are some interesting questions of whether the two sets of patents infringe each other (or one infringes the other), but, for now, without more evidence, "throwing shade" in this regard seems ill-advised. Following up, I will say this though--that Caltech's license to Liquidmetal Tech itself appears to be exclusive. Nevertheless, it seems to me possible that Caltech and Liquidmetal Tech (the corporation) do not own all actual or possible technology related to amorphous alloys and that, consequently, it's theoretically possible that liquidmorphium is non-infringing. It appears that Lugee Li is an investor in TRI and is also the CEO of DongGuan EONTEC Co., Ltd. DongGuan EONTEC Co., Ltd., in turn, likely has various patents to amorphous alloys, including, presumably, the "liquidmorphium" used in the Turing Phone (http://www.google.com/patents/US20150322555; https://patentscope.wipo.int/search/en/detail.jsf?docId=WO2015078208; http://stks.freshpatents.com/Dongguan-Eontec-Co-Ltd-nm1.php). I infer that TRI has a (direct or indirect) license from Eeontec to Eontec's (not Liquidmetal Tech's) patents. Again, while maybe there is some potential litigation on the horizon due to overlapping IP, I can't imagine that this would delay the Turing Phone or should make people think the Turing Phone is unlikely to come to market. 3. I found out that Liquidmetal Technologies has signed off having any relationship to Liquidmorphium, on the same statement saying that they hold a large patent portfolio which they also try to protect. They have 70 related patents on several alloys and their manufacturing. Additionally, Apple has added even more patents regarding the manufacturing and use of Liquidmetals. 6. I made my conclusions based on TRI Newsletter claiming Liquidmetal(tm) co-inventor as the Liquidmorphium inventor, and on the large patent portfolio on Liquidmetals. Still, to be 100% sure it should be followed what happens with the patent application for Liquidmorphium, not relying to the Trademark application only as you point out. Thanks for that. +++Again, you seem to be confusing trademarks and patents. Hopefully not confusing, I just checked for both. +whether or not the TRADEMARK application is rejected has nothing to do with whether Turing has the right to use the TECHNOLOGY/PATENTS they were going to refer to with the TRADEMARK "Liquidmorphium." Totally separate issues. +EONtech has a separate patent to an amorphous metal alloy, and I strongly suspect it is this patent (rather than the patent(s) of Liquidmetal Technologies) that Turing is in-licensing to build the Turing Phone. +One could fairly ask whether Eontech's patent reads on the Calarts IP that is exclusively licensed to Liquidmetal Technologies, but that is probably a very complex question, and is certainly very different from your argument, which is that Turing cannot make an amorphous liquid alloy because Apple also exclusively licenses possibly completely separate patents from a completely different company, Liquidmetal technologies. Just saw your other reply. It is perfectly possible that Li and Peker developed certain amorphous alloy patents that are not owned by Liquidmetal Technologies and that are owned by Eontech or some other company. Again, my whole point is that Turing does not necessarily need a license from Liquidmetal Technologies to make its phone or "liquidmorphium." In fact, Liquidmetal's statement that [t]hey do not use our technology" would tend to confirm that fact. Yes, that is possible. My conclusion was that liquidmorphium is too similar to liquidmetal, but that is not 100% sure (see my first reply and my update in the post). On the other hand, Liquidmetal Tech's statement "we have no relationship" sounds odd if CalTech co-inventor plays a role also in liquidmorphium. Makes me actually wonder if they knew that his name was used by TRI. Or did he knew? I'm not the same anonymous user as above. The fact is that to founders might own the rights to same metallurgy that they co created. That doesn't mean that one has all the rights to it. Li might have the same right to it or maybe even own the rights and licenses them to Peker, we don't know that. But i found it hard that for Peker to sue Li and win when we knw that these things often gets handled outside court because Peker wouldn't risk losing the rights for this metal. I wouldn't worry to much about this metals IP. I would love to buy this product when it available. Thanks for the warnings and i will not jump on any community founding for this. But if there's an finished product then i will buy it. I do love the concept that centers around customers privacy. We need more privacy and encrypt solutions in the world since the technology for surveilling citizens and every other people gets so much cheaper and easier every year. Surveillance will lead to information being used against people in the future and will lead to totalitarian states around the world in the future. You may call me paranoid or conspiracist but that is mostly done by naive people and i hate for a future that proves me right, but the use of encryption will reduce information collected on me. someone knows why should be absolutely the Liquidmorphium for the phone? I know that promises are promises. but if someone could not hold his promises, then should communicate the issue and already present some alternatives. Do they take morphine (alias morphium in antic language) as liquid? We could propose them a mix with titanium. Citizen make it for their clocks. a) “Regarding Touring Phone [sic], we have no relationship with them at all. b) “They do not use our technology, nor do they have a license. c) “We have a large patent portfolio and are trying to ensure that others in our space do not use any of it inappropriately. b) Turing does not need to obtain a license for any of the four commercially available liquidmetal alloy formulations, because the patents have either expired or otherwise have entered the public domain. Steipp himself has stated this. Also Materion sales brochure gives alloy by alloy confirmation of this, Vitreloy vs LM series. Turing itself has its own manufacturing techniques, patented, for both manufacturing the alloys and for die casting the vitreloy alloys. c) This statement stands upon its own merit particularly since LQMT itself must protect its own TRADEDRESS, which applies only to Trademarks, but not to patents itself. Again, Liquidmetal does have a relationship with Turing vis a vis a TRADEDRESS dispute. d) This statement is false in all regards, since Liquidmetal was in negotiation with Lugee Li of Eontech in regards to a cross-licensing agreement as well as in regards to a stock purchase, both of which have materialized as of March 13, 2016. Bottom line: To suggest that there was no knowledge of the Turing Phone is totally bogus, in that some employees of LQMT were TOTALLY aware, and in particular, the ex VP and other employees. Regarding your answer for d) Prove that they were totally aware of this. You sound like a bitter old man that has an agenda and a personal vendetta against the executives of this great company. "Also the trademark issues remains, Turing Phone website is currently showing "tm" on several products without a trademark." Reviewer--it is so clear from your posts that you do not understand the way intellectual property laws work in the U.S., that, in all fairness, you should stop slinging mud based on IP issues. You have consistently confused the difference between trademarks and patents, and also the way trademarks work on their own. 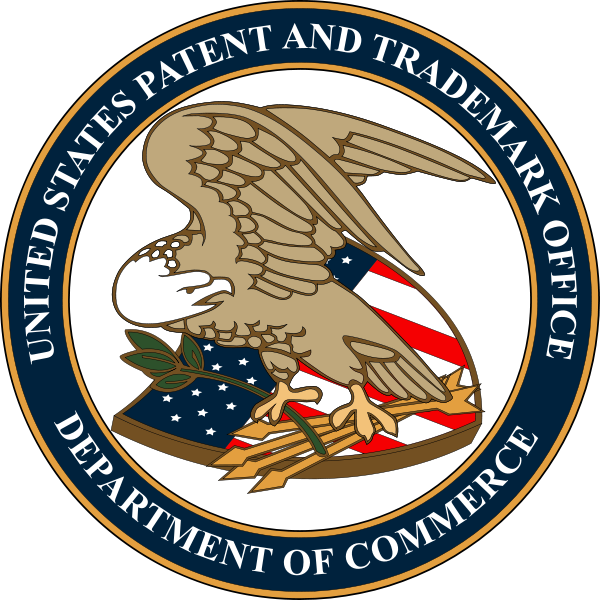 There is absolutely no limitation that one can only use a TM symbol or have or claim a trademark on something only if one has filed or completed an application for the trademark with the USPTO. Moreover, trademarks are the most inconsequential of IP matters when it comes to a business. They are simply names/branding. They have nothing to do with more meaningful IP like patents and trade secrets. Please stop slinging mud based on this trademark issue, as it is very clear you do not understand it at all. I'm not quite familiar with the trademark practices in use in the US, but here in Finland (Turing Robitic Industries is a registered mobile manufacturer in this country), using "TM" indicates that a certain brand is a trademark. This is clearly stated by our Patent and Registration Office. 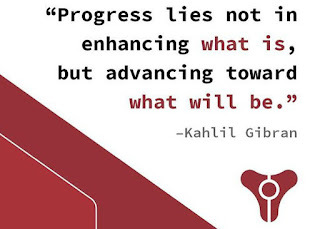 About TRI's trademarks, currently all of them, even the company name and the destiny-game-lookalike logo have been abandoned for TRI, meaning they have no right to use "tm" on their website as a Finnish company. Mr. Chao (CEO) has shared that even the company HQ is moved here. On your opinion on me throwing mud: Personally, I'd really love to see Mr. Chao to produce phones here in Finland. Would be great especially for the suffering area of Salo. However, I have found just too many issues including trademark, comms, security solution, 8 delays on shipping, 3 announced productions ongoing (but no products seen). Still, let's have him try. Simo, here is the thing--trademarks simply are not that important. Let's just say hypothetically that you are totally right on the TM issue (you actually are very wrong, but let's put that aside). Who cares? Turing could literally change the name of "Liquidmorphium" to "Spaghett-O-Tanium" and the name of "Turing Phone" to "Godel Talkie" overnight and it would be fine. It has zero impact on the ability to produce and sell the actual phone. I suggested "Neverdonedinium", but maybe let's just wait and see what the final specs will be. There are several unsolved issues. The first batch was shipped July 12th and the second and third batch will be dispatched on July 22nd and July 29th. Has anyone got a delivery yet? I waited with ordering until i saw a product so when they open up for new orders again then it might be time for me to place an order.